While talking with Kimmel, the wideout shared some interesting tidbits about the celebratory festivities following the game. The first was that he partied with Snoop Dogg following the game, which always sounds like a good time. 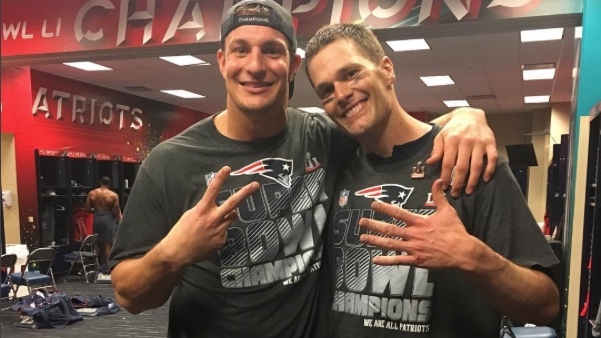 But Amendola was also quick to throw his teammate and fellow wide receiver Chris Hogan under the bus when Kimmel inquired about who partied the hardest. Maybe Amendola was just joking, or maybe he wasn’t. Luckily for Hogan, though, there weren’t any additional details about this “questionable activity,” so it looks like he might be safe from Belichick’s wrath … for now.